Joux loafer from Robert Clergerie features all those key features of the original loafer style from the 1930´s: Moccasin like construction with separate sole and diamond shaped cut on the saddle. The original loafer style, known also as slip-on shoe, was a hybridization of a Norwegian Fishermans footwear and Native American footwear. The name Penny Loafer was given by G.H Bass in 1936 and popularized by the American Prep School students. 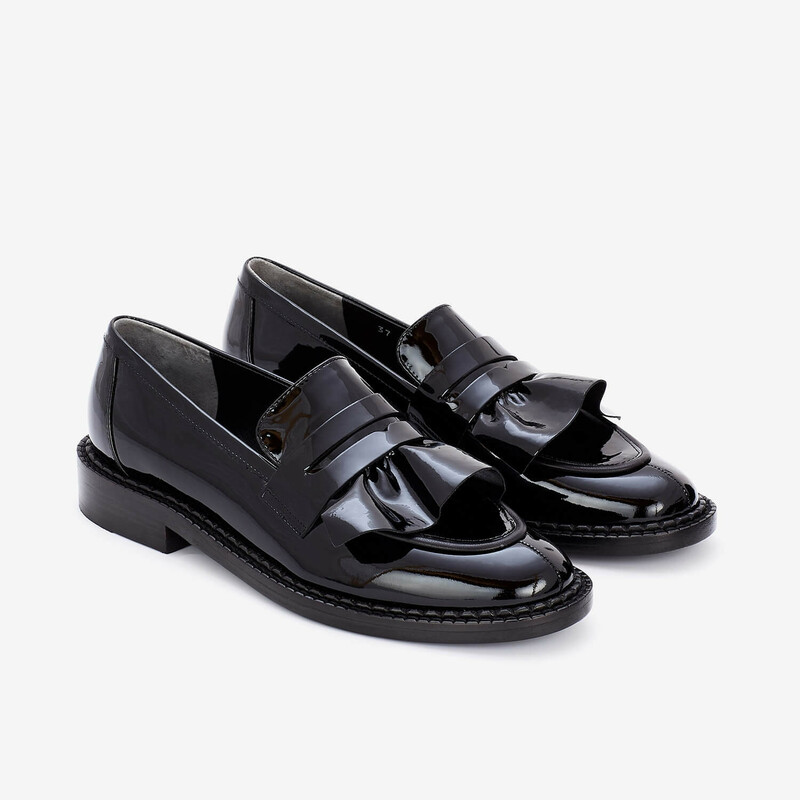 Joux loafer is made from high shine patent leather. Leather hem adds just right amount of girlish contrast . 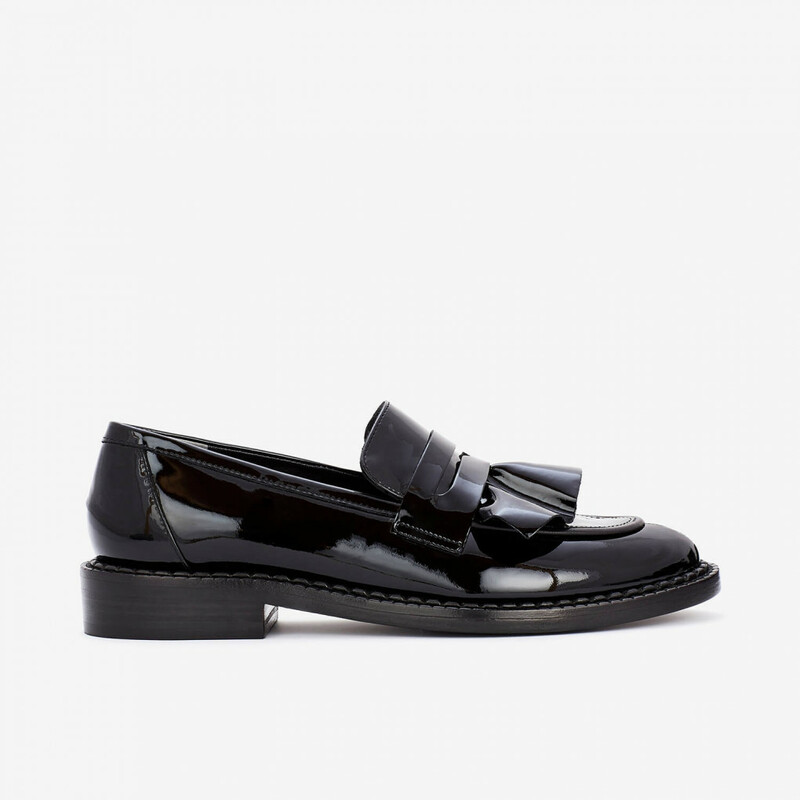 Read more..
Joux loafer is made from high shine patent leather. Leather hem adds just right amount of girlish contrast to this otherwise masculine style. Rough leather sole is finished with classic structured welt along the edge of the sole. Joux is a truly wardrobe essential with added character. 1 x Joux Loafer was added to your shopping bag. 1 x Joux Loafer was added to your wishlist.